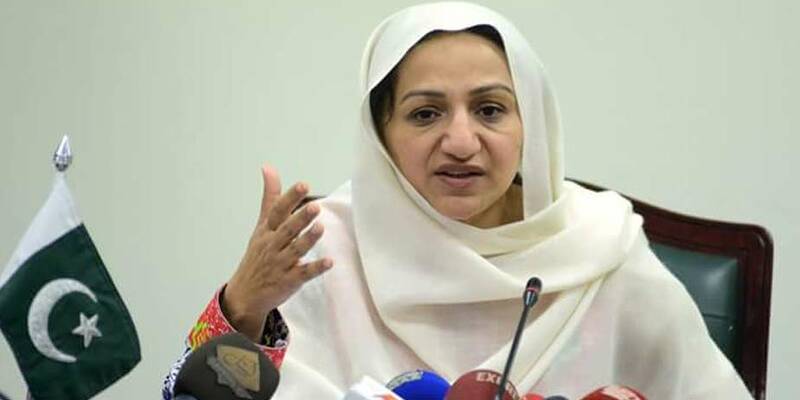 ISLAMABAD: Federal Minister for National Health Services Saira Afzal Tarar has said that healthcare remains top most priority agenda in the social sector and the National Health Vision 2016-25 was a testament to that. The health vision was developed by the Ministry of National Health Services, Regulation and Coordination to provide a common strategic vision to guide health sector in achieving universal health coverage through efficient, effective, equitable, accessible and affordable health services to its entire populace. She expressed these views while addressing a special event in connection with the World Health day here on Friday. “Our government launched Prime Minister’s National Health Programme in 2015 with the objective to provide universal health coverage through a cashless health insurance scheme for the poor to enable them to access needed healthcare services,” she said. She said that the Prime Minister’s National Health Programme continues to provide services for the beneficiaries. She said that three million poor families living in 41 focused districts across Pakistan were currently accessing indoor healthcare services from 135 hospitals. The programme is being expanded to eventually cover all districts of the country. The minister said that tuberculosis was undoubtedly one of Pakistan’s biggest health crises. It kills almost 44000 Pakistanis every year and causes considerable economic losses. Pakistan commits to end TB epidemic by 2030 and the ministry has developed an action plan for the next three years with a total cost of $500 million of which only half of the funding has been committed as yet. It is suggested to declare TB as a priority disease and should be discussed at the highest forum of CCI in order to sensitise the governments of its critical nature and resource mobilization. Saira said that malnutrition with a prevalence of 45% in the children was a national problem, which is being carried on to the next generations with all its negative impact. The cumulative effect of lost manpower hours, healthcare expenses and lower productivity due to malnutrition in monetary terms in Pakistan is $7.6 billion or around 3% of GDP every year. Considering the crisis situation in nutrition, the matter may be brought on the agenda of CCI to achieve a multi sectoral coordinated response. Pakistan is now the sixth most populous country in the world. Decline in population growth rate has been slow, the current population growth rate of 2.4% per annum is one of the highest in the world while contraceptive prevalence of only 35% is much lower than other countries. Any increase in health budget actually is diluted by ever increasing number of individuals added in the pool of population annually. Though the ministry has been taking appropriate measures to address the issues however in order to further prioritise this very critical area it is suggested to have a threadbare discussion in CCI to formulise robust policies and allocate resources. Saira said a major challenge in Pakistan was varying estimates of health indicators, which exist in the country. These are derived from the routine reporting while others pertain mainly to regular/episodic national and sub-national level surveys marked variances have been recorded across these different sources with some reflecting more than 75% coverage in one survey whereas another survey shows 20% coverage in the same region. These stark differences are commonly attributable to the varying methodologies of assessment and biases.